Absolute Championship Berkut’s 38th event is dubbed “Breakthrough,” which may be the perfect name for a card featuring one of Russia’s most promising up-and-comers. Anatoly Tokov is 22-2 overall and rides a 15-fight winning streak into the ACB 38 headliner. His main-event scrap with Arbi Agujev is set to determine the 185-pound titleholder for the Russian promotion. Tokov debuted in 2009 and compiled an impressive undefeated mark through nine fights before dropping consecutive bouts. The two losses made the Stary Oskol fighter appear much closer to average on the MMA scale of potential, but then he reeled off 15 straight wins. The 26-year-old’s streak is no joke, either. He has decisioned Jordan Smith, dropped Enoc Solves Torres, submitted Maxim Shvets and scored striking stoppages of Adam Zając and A.J. Matthews. The 55-second finish of Matthews under the Rizin Fighting Federation banner is a definite head-turning moment for the young warrior. 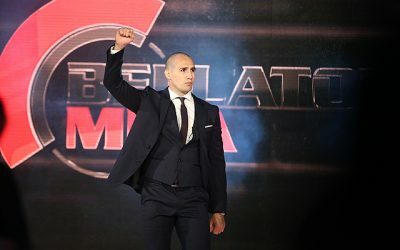 Tokov’s other accolades include a master of sport in hand-to-hand combat and a championship run on the second season of M-1 Global’s M-1 Fighter reality show. Agujev, 28, is just two years older than Tokov and has the same hectic pace of fights. He debuted in 2008 and went 8-5 through his first 13 fights. He, too, has found a rhythm in his more recent fights, going 21-1 with one no-contest through his last 23 outings. Along the way, “Monster” has suffered losses to Miodrag Petkovic, Yan Cabral and former M-1 welterweight champ Murad Abdulaev. He has also tallied victories over Ivica Trušček, Vladimir Katyhin and Antoni Chmielewski. The MMA Vienna fighter has only seen the scorecards on two occasions. Meanwhile, he has finished 13 opponents by way of submission and stopped five foes via strikes. He has also been submitted three times and knocked out twice. Agujev can be overwhelming. Just ask Trušček, who was taken down and demolished in just 57 seconds. Tokov is probably better equipped to avoid the takedown, but Agujev’s pure aggressiveness could cause Tokov to make mistakes. However, Tokov is a fairly polished prospect who seems to be on the cusp of bigger things. He’ll have to prove as much by weathering the early storm and then turning the tide on Agujev. Agujev’s own aggressiveness could be a liability against a good top-control fighter like Tokov. If the Fedor Emelianenko protege can plant Agujev on the mat, we could see a dominant display of positional control en route to Tokov adding a TKO finish to his resume. Meanwhile, Agujev could turn the fight into a grappling chess match. This should be one of the more competitive and entertaining battles of the weekend. Tokov is the featured fighter in this match-up, but Agujev shouldn’t be overlooked. Tokov’s power makes him a threat on the feet, but he’s also a skilled ground technician. Agujev’s aggressiveness and grappling acumen will keep him in this fight until the very end. The edge, however, goes to Tokov, who will capitalize when Agujev overcommits. This one ends in a TKO finish for the rising prospect Tokov. If there’s one promotion that isn’t afraid to court controversy, it’s the Italian-based Venator Fighting Championship. The company’s third event is a perfect illustration of this organization’s philosophy. Among the fighters featured, the troubled Jason “Mayhem” Miller is set to fight for middleweight gold and the controversial Rousimar Palhares is set to headline. Palhares will also be fighting for gold, so fellow title hopeful Emil Weber Meek should start fearing for his well-being. The pair meet for the vacant welterweight crown. 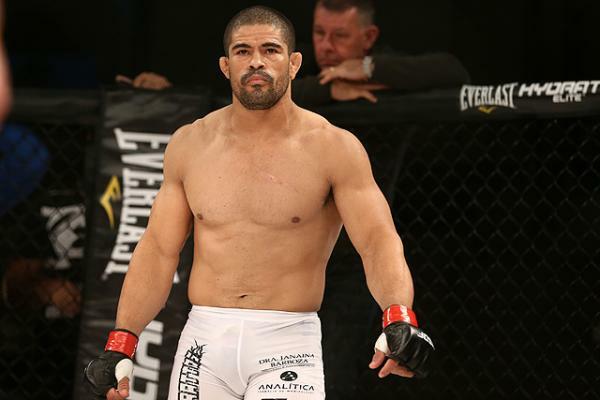 Palhares is as well known for what happens after the final bell rings as he is for his ability to win fights. 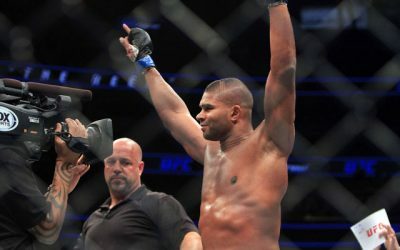 The Brazilian would still be in the UFC mix if not for his tendency to hold on to submissions for far too long, even after the referee calls for him to release his opponent. 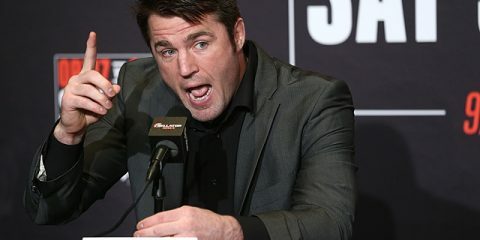 The stocky 36-year-old has wrecked the legs of Mike Pierce, Steve Carl and Jon Fitch in recent bouts, and he also submitted Jake Shields via kimura. 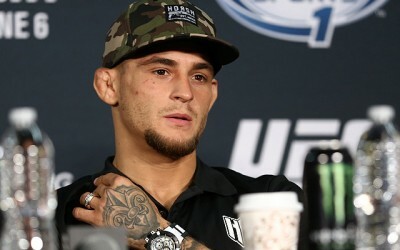 His submission of Pierce cost him his job with the UFC, and his failure to release Shields from the fight-finishing kimura resulted in a two-year suspension from the Nevada State Athletic Commission and the stripping of his welterweight title by the World Series of Fighting. The Brazilian Jiu-Jitsu black belt has landed in Venator, which does not seem to care about the NSAC’s ruling. Meek, nicknamed “Valhalla,” looks tough, and he can certainly do damage on the feet. Both of his losses came via strikes, as have six of his victories. He has never been submitted, nor has he seen the scorecards. The 27-year-old has traveled the regional circuit in Europe. The most high-profile bout on his resume is his lone submission win, which came against Kai Puolakka at Cage 32. The Norwegian fighter trains out of MMA Trondheim. Meek is a confident fighter who could outgun Palhares on the feet. The Brazilian’s chin has been tagged by Nate Marquardt, Alan Belcher and Hector Lombard for a pair of TKO losses and a clean knockout. If Meek can connect, he can add his name to that impressive list of names. However, this task is easier said than done. Meek fights a very upright striking game, and Palhares should find little trouble closing the distance and getting the takedown. The Brazilian doesn’t waste time once he’s on the mat. The BJJ black belt will immediately start advancing position and going for the kill. Meek’s ground game is likely to be a weakness, and he can’t be expected to defend against transitions and submissions from someone as savvy as Palhares. 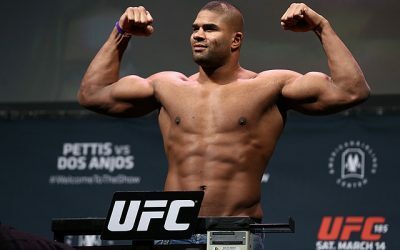 The real question here might revolve around whether Palhares can rehabilitate his image while fighting for Venator. 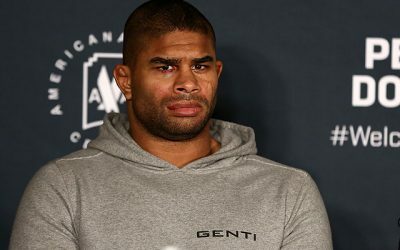 His move overseas certainly won’t please the NSAC or WSOF, but if he can fight cleanly moving forward, perhaps he can get back in everyone’s good graces. This, too, might be easier said than done. In the end, the safest assumption to make is that this fight ends with Palhares destroying Meek on the mat and then, to nobody’s surprise, holding the submission long after the ref has stepped in to end the fight. Akhmat Fight Show put together a flyweight tournament bracket full of top prospects for its March show. 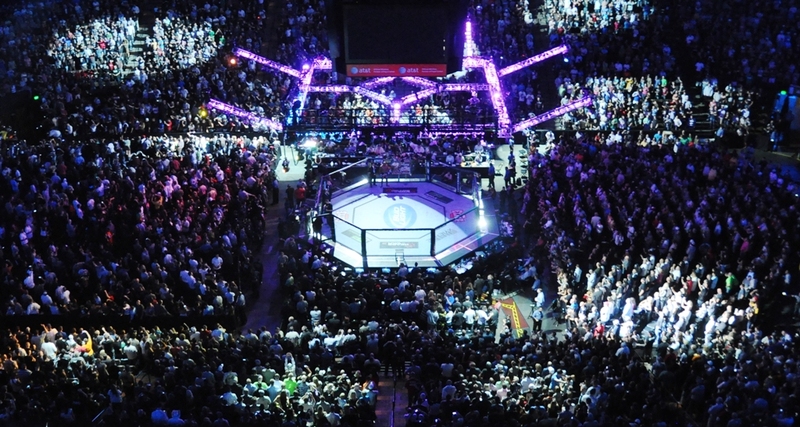 Magomed Bibulatov, the reigning World Series of Fighting flyweight champion, was one of four fighters to emerge victorious in the quarterfinals. The Chechen fighter was expected to advance on to this weekend’s show and face fellow quarterfinal winner Jarred Brooks. Plans have changed, however. Now, Bibulatov will instead meet Giovanni da Silva, a Brazilian fighter set to make his Akhmat debut. Bibulatov has been an absent champion for the WSOF. He captured the belt with an October victory over Donavon Frelow, but wasn’t able to return in March for a scheduled bout against Tyson Nam. Instead, the 27-year-old fought for Akhmat Fight Show in its flyweight grand prix and decisioned Irmeson Oliveira. Then, he went on to discuss goals that included winning the Akhmat tournament and testing himself against UFC competition. The one thing he did not mention was a WSOF title defense. He still has two fights on his contract with the American promotion, though. In addition to his wins over Frelow and Oliveira, the flyweight has notched decisions over notables Taylor Lapilus and Said Nurmagomedov. He has a background in sambo and wrestling, and he used a combination of wrestling and unorthodox striking to edge Frelow on the scorecards. Da Silva has had a strong showing on the Brazilian regional circuit, including title reigns with Demo Fight and CEF. He has made one appearance under the Jungle Fight banner, resulting in a win over fellow prospect Rildeci Dias. The 29-year-old also holds notable victories over Stênio Barbosa and Gilberto Dias. The Brazilian has been competing professionally since 2006 and suffered his lone loss in his pro debut. He is riding a 16-fight winning streak into this fight with Bibulatov. 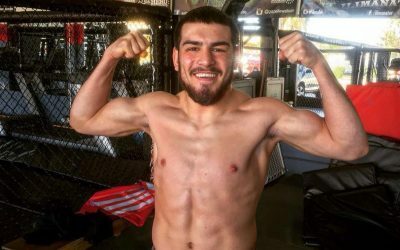 Da Silva would have an even stronger resume if not for two of his slated opponents, Leandro Higo and Dileno Lopes, failing to make weight, leading to scrapped bouts. 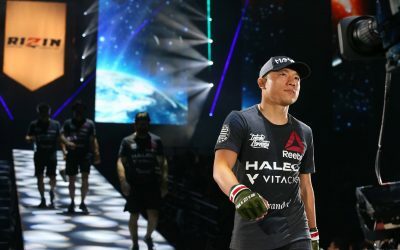 The Hikari product has scored submission victories in four of his last five fights, but he has an even balance of five wins each by submission and knockout. If da Silva were to snag a victory here, it would certainly put his name on the map. Bibulatov is viewed as one of the best flyweights not under UFC control, and he’s also seen as a legitimate threat to the title reign of UFC champ Demetrious Johnson (well, as much as any other flyweight can be considered a threat to someone as thoroughly dominant as Johnson). Bibulatov’s well-rounded game has created an absolute headache for every opponent he’s encountered. The breakdown of da Silva’s record might suggest that he’s well rounded, but it’s interesting to note that he scored all of his striking victories early in his career and has relied more heavily on his grappling game as he’s taken on tougher challenges. 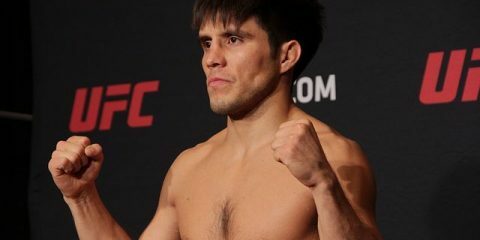 In addition to his one official loss, da Silva was also eliminated in the qualifying round of The Ultimate Fighter: Brazil when he was submitted by John Teixeira. So, as good as da Silva has been on the mat, it also appears to be the one way opponents can finish him. Bibulatov hasn’t utilized submissions in many of his recent victories, but he does have the skills to finish the fight on the canvas. Furthermore, his wrestling and sambo background gives him the ability to get the fight to the mat. Da Silva is going to face an uphill battle against a dynamic prospect like Bibulatov. There’s a good chance that the Chechen fighter will submit his Brazilian counterpart, but he’ll settle for a decision if he can’t get the finish.